On the sea front, the Hotel Aigua Blava is situated in the welcoming crystal clear beaches of Fornells and Aiguablava. Its more than 80 fully equipped rooms are distributed in small buildings around magnificent gardens and the best views of the Mediterranean. 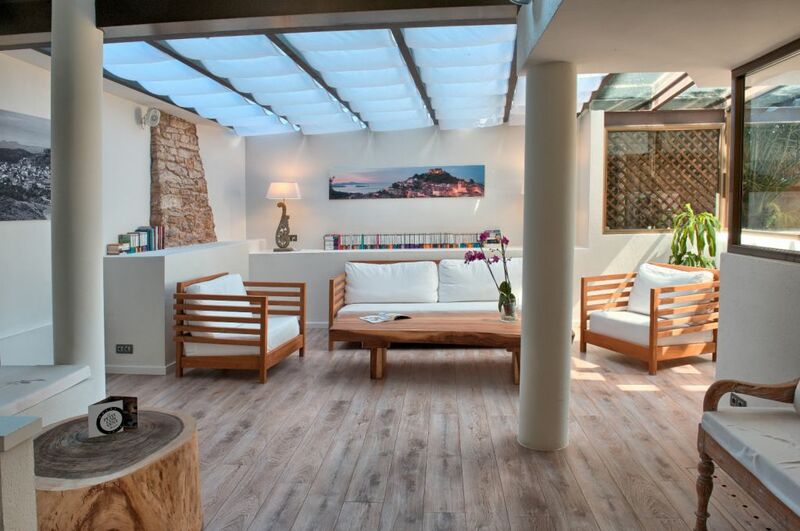 The HOTEL-SPA CLASSIC BEGUR, located in the pedestrian area of this beautiful town on the Costa Brava. This family hotel has 12 rooms. 6 bedrooms located on the first floor of an Indiano house. 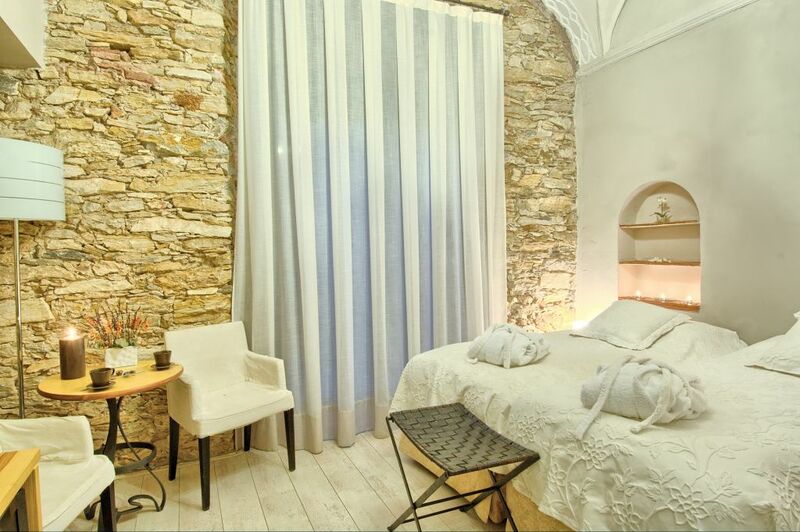 Built in 1857 and restored in 2010 the HOTEL-SPA CLASSIC BEGUR has managed to preserve its original paintwork, vaulted ceilings and and stone walls. And new rooms on the second floor, built in 2013 and the modern style. The hotel has lift. Each elegant room at the HOTEL-SPA CLASSIC BEGUR offers a pillow menu, flat-screen TV, minibar, and tea and coffee making facilities. The private bathrooms come with amenities and a hairdryer. On the ground floor you will find CLASSIC RESTAURANT, the hotel's restaurant. Their specialities are paella and rice dishes. there is also daily menu and tapas menu. At about 15 meters, in the Plaza de Begur, you can find ES CASTEL CAFETERIA-BAR, where you can eat delicious sandwiches, salads and mixed grill dishes. From February 2014, the Hotel will offer the services of a SPA area, with heated swimming pool, jacuzzi, hammam, hot marbles and massages. The Hostal was an old fisherman's house located opposite on beach of Sa Tuna. A small sheltered cove in the town of Begur, surrounded by pine trees and ramparts walks wich lead to the beaches of Sa Riera and Pals. It has an excellent restaurant serving traditional Empordanese cuisine. This small hotel was founded in 1944 as a hostal, and the restaurant was directly on the sand, run by Joan and Paquita, grandparents of the current owners. 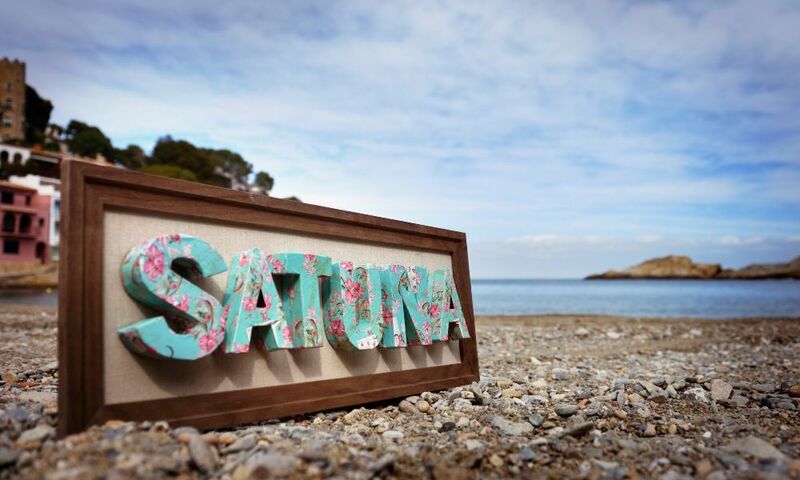 It is the only Hotel in the cove of Sa Tuna, corner pampered by nature in the heart of the Costa Brava. We have five double rooms where breakfast on the terrace enjoying the spectacular views will be a pleasure for the senses. Watch the sunrise from the room makes the day to become a bunch of relaxing feelings.